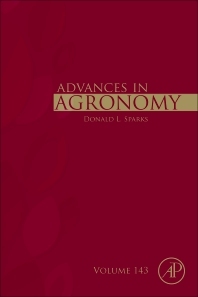 Advances in Agronomy, Volume 143 continues to be recognized as a leading reference and first-rate source for the latest research in agronomy. This latest release brings new and updated information on Soil: The Forgotten Piece of the Water, Food, Energy Nexus, Humin: Its Composition and Importance in Soil Organic Matter, the Effects of Drought Stress on Morpho-Physiological Traits, Biochemical Characteristics, Yield and Yield Components in Different Ploidy Wheat: A Meta-Analysis, and a section on the Delineation of Soil Management Zones for Variable Rate Fertilization - A Review. Each volume in this series contains an eclectic group of reviews by leading scientists throughout the world. As always, the subjects covered are rich, varied, and exemplary of the abundant subject matter addressed by this long-running serial.